This post is about rainbows; those wonderful, beautiful gifts from God that we all have experienced at one point or another. 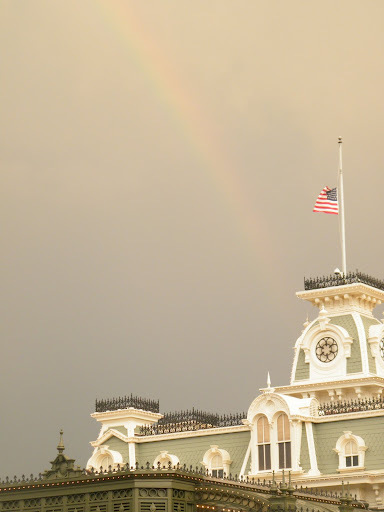 What better place to remember God’s Promise then at Walt Disney World? 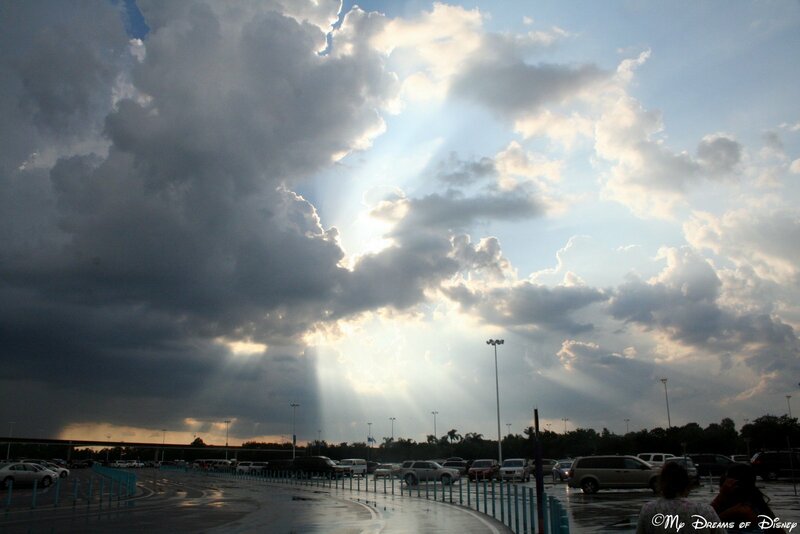 The picture at the top was taken in the Transportation and Ticketing Center parking lot on Sophie’s birthday in 2008. A storm had passed through previously, as you can tell, but it was over, and it was almost like God was telling us “Nothing else is going to interrupt the celebration of Sophie’s birthday!” Here are some more pictures from that day. Not a rainbow, but still, it felt like a promise anyway! Not a complete rainbow, but a strong one nonetheless! The rain is off in the distance, not to bother us anymore. In addition to these photos, my friend’s Frances and Denny wanted to share some of their photos as well! I hope you enjoy them! Thank you all for stopping by to share in my love for God as well as my love for Walt Disney World! Thanks, and keep checking in as we bring you more posts about my absolute favorite vacation destination!